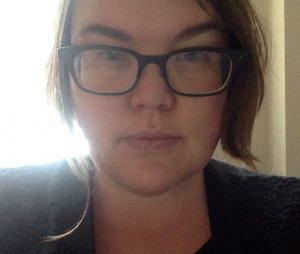 Melissa Anne-Marie Curley works on modern Buddhism and Japanese philosophy. She is interested particularly in how twentieth-century intellectuals, artists, and social reformers borrow elements from the popular Buddhist imagination in articulating what the future of Japan (and the world) should look like. Her first book, Pure Land/Real World: Modern Buddhism, Japanese Leftists, and the Utopian Imagination (under contract with the University of Hawai'i Press), examines leftist interpretations of Buddhist images of paradise and exile in the context of the Fifteen Years’ War (1931–1945). She is currently collaborating on a translation of Japanese philosopher Keta Masako’s Philosophy of Religious Experience: An Elucidation of the Pure Land Buddhist World and beginning work on a new study of Buddhism and the culture of self-help in East Asia and North America. Her teaching interests include the religion of Asia, religion and popular culture, and religion and post-humanism. “Religion and Philosophy in the Contemporary Kyoto School: A Translation of Keta Masako’s “The Problem of Evil in Pure Land Buddhism,” with Jessica L. Main and Melanie Coughlin, Philosophy East and West, forthcoming. “Miki Kiyoshi: Marxism, Humanism, and the Power of Imagination,” in The Oxford Handbook of Japanese Philosophy, ed. Bret W. Davis (New York: Oxford University Press, forthcoming). “Fruit, Fossils, Footprints: Cathecting Utopia in the Work of Miyazawa Kenji,” in Hope and the Longing for Utopia, ed. Dan Boscaljon, 96–118 (Eugene OR: Wipf and Stock, 2014). “Correspondence Schools: Buddhism and Fluxus in Canada,” in Flowers on the Rock: Global and Local Buddhisms in Canada, ed. John S. Harding, Victor Sōgen Hori, and Alexander Soucy, 267–86 (Toronto: McGill-Queen’s University Press, 2014). “Modern Japanese Buddhism,” in The Wiley Blackwell Companion to East and Inner Asian Buddhism, ed. Mario Poceski, 447–65 (Oxford: Blackwell Publishing, 2014). “Zen-Boy Ikkyū,” in Little Buddhas: Children and Childhoods in Buddhist Texts and Traditions, ed. Vanessa R. Sasson, 312–32 (New York: Oxford University Press, 2013).